Daniel (the dev) wrote: ok, than i can send you all the map intro texts (that are html based ones) in email. please email me so i know where to send them - thanks! I send you a message here, containig my mail-address. Daniel (the dev) wrote: Would be cool, which map text shall i send to fix? I think any map that have a text. I did not find a sample Thread for this so I start a new one. Daniel (the dev) wrote: i will update the new units to GP in 1 hour, so the problem will vanish. hmm, i dropped from Level 5 to Level 3 today. value > 1 should be top badge. So why did it drop to level 3? DoomCarrot wrote: Well, the new version automatically updates. You cannot keep the old version I do not think. up on server in10 minutes. Won't that be a balancing problem on multiplayergames with some player using 1.030 and others using older versions? Is there a new vesrion out? COOLguy wrote: Okay then I flag this topic for Daniel - he can fix anything. For this one game, I think this ist not that important, but I think Daniel should try to find out, what happened so it won't happen again. Re: Please wait for the AI to finish! TheBluePhoenix wrote: First you said it was your second? Anyways this problem has been identified already and i dont know why it was not resolved.. I won my second game today. As I won my first game, there qas the same problem. So I think this could be closed (or merged). Daniel (the dev) wrote: lol. please ask the other player how he did it - thanks! I asked him about it, but her did not answer. I still havn't deleted that game. I have lost, the TC finally got captured. Would it help you, to send it? 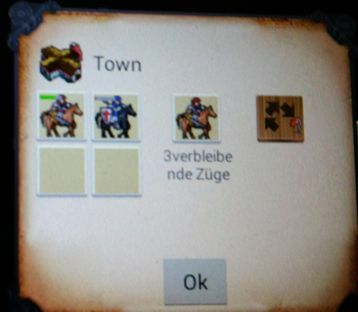 In Multiplayer game I found an enemy Unit in my town. And an enemy unit (blue Templar).